Part of From the Vault. Part of Considering Our Tech-nostalgia. Full-length interview with Alan Curtis Kay. Portions of this interview were featured in episodes from the WGBH/BBC Series, The Machine That Changed The World. The Machine That Changed The World was a five part series chronicling the personalities and events of the computer revolution. The program traced the history of the development of the computer to the modern personal computer, to future developments on the horizon. There was a focus on history of computers from 19th century to PC, present day applications, and future developments. Alan Curtis Kay is an American computer scientist. He was an Apple Fellow at Apple Inc. in the 1980s and went on to be a Disney Fellow with Walt Disney Imagineering. Later jobs included Senior Fellow at Hawlett-Packard and founder of the Viewpoints Research Institute. Select metadata for this record was submitted by John Campopiano. Five part series chronicling the personalities and events of the computer revolution. Program traces the history of development of computer to the modern personal computer, to future developments on the horizon. Focus on history of computers from 19th century to PC, present day applications, and future developments. Featured participants include J. Presper Eckert; Thomas Watson, Jr; Steve Wozniak; Steve Jobs; William H. Gates; Marvin Minsky; Mitchell Kapor. Narrated by Will Lyman. 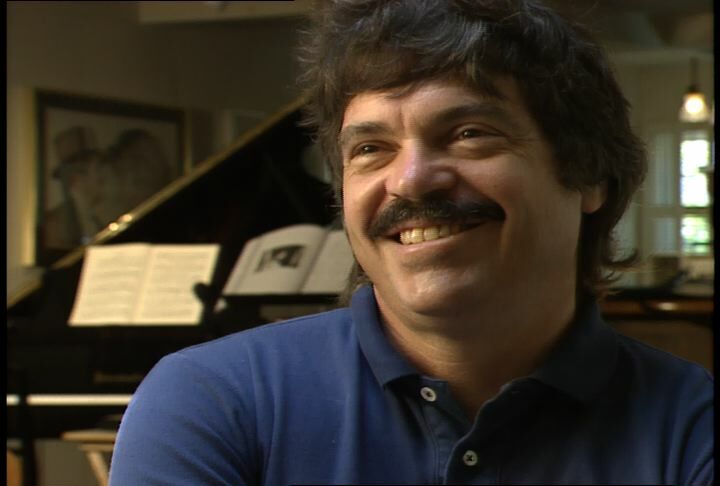 Chicago: “Machine That Changed The World, The; Interview with Alan Kay, 1990,” 07/24/1990, WGBH Media Library & Archives, accessed April 25, 2019, http://openvault.wgbh.org/catalog/V_D9DC82D997454711A71B586E17D23119. MLA: “Machine That Changed The World, The; Interview with Alan Kay, 1990.” 07/24/1990. WGBH Media Library & Archives. Web. April 25, 2019. <http://openvault.wgbh.org/catalog/V_D9DC82D997454711A71B586E17D23119>.